Rapper Loose Bills releases new official single ‘Windows 2 My Soul’ | Sonic Smash-Music! The producer and performer of hip hop known as Loose Bills has released his latest official single, “Windows 2 My Soul.” The track has been proudly published on the “Windows 2 My Soul” independent record label without the involvement of the corporate music industry. Sleek, gritty, futuristic and palpably non-fiction, “Windows 2 My Soul” showcases Loose Bills as one of the season’s most intriguing independent rap artists. Jacksonville, FL’s Loose Bills first made waves in a rap trio called the Bfd Clique, who dropped two popular mixtapes, “The City Zoo” 1 and 2. These earned the crew and Loose Bills a runner-up award at the Source Unsigned Hype Convention in Dallas, TX, 2008. His first solo hit, “Undecided,” built the beginnings of his current fan base, who began clamoring for a solo album. His first solo mixtape, “The Memoirs of Franklin Benjamin,” appeared to fan and critical acclaim in 2011. On the coattails of this came “Digital Dope, Vol.1,” which dropped with a corresponding Digital Dope video series, which garnered thousands of views and continues to build his brand of beat-backed urban poetry. His 19-track double-LP, “20 Mins Til’ Arrival” appeared in 2015, solidifying Loose Bills as one of the premier indie rappers of the 21st century. 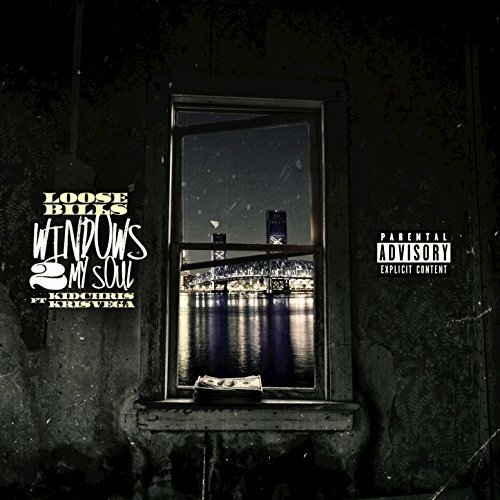 “Windows 2 My Soul” by Loose Bills is available from over 600 quality digital music retailers online worldwide now. This entry was tagged jacksonville florida hip hop, loose bills, windows 2 my soul.